The Scottish Government have opened a ‘A Connected Scotland’ consultation to ask what is needed to be done nationally to better empower communities and create the conditions to allow social connections to flourish. So, we’ve created a little document that outlines our recommendations; from helping employers to encourage volunteering, to creating a stronger mental health system, from improving transport options to implementing Social Prescribing. These have been developed in collaboration between the staff, trustees, beneficiaries and stakeholders of LifeCare and The Broomhouse Centre & Enterprises as part of the Vintage Vibes charitable partnership. 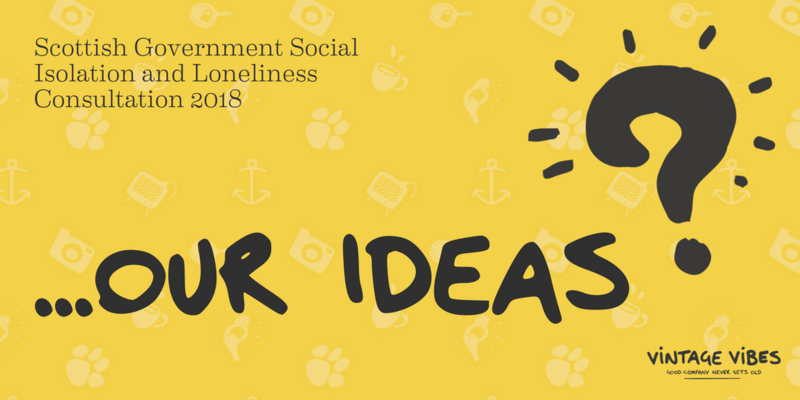 Click here for Vintage Vibes – Social Isolation and Loneliness Consultation 2018 Response. To submit your own ideas to the Scottish Government click here. Deadline 30th April 2018.